This statistic shows the situations in which US travelers stated they would be somewhat or very likely to use smartphones as of November 2013. 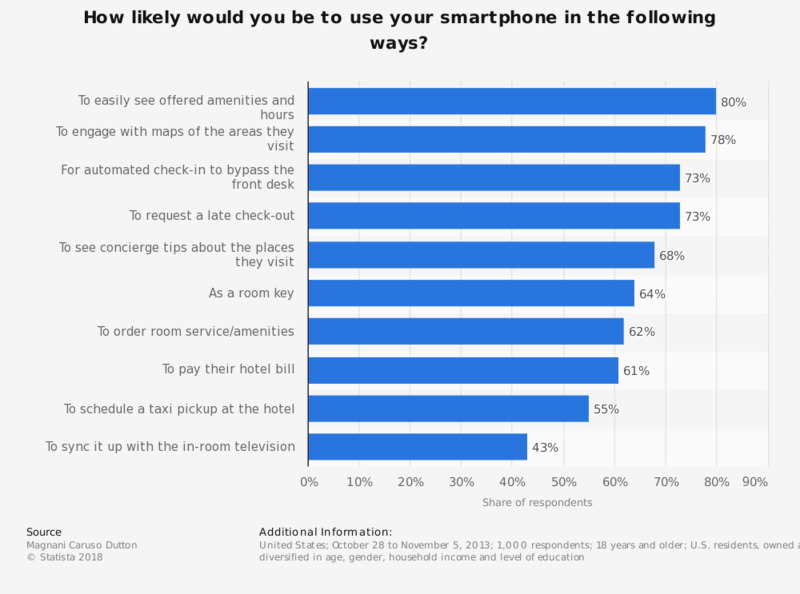 During the survey, 78 percent of the respondents said that they would use their smartphone to engage with maps of the areas they visit, and 55 percent said they would use their smartphone to schedule a taxi pickup at the hotel. The survey was conducted among 1,000 adult Americans, evenly segmented as business travelers, leisure travelers and family travelers.